Google has given a bunch of its apps the Material Design treatment. 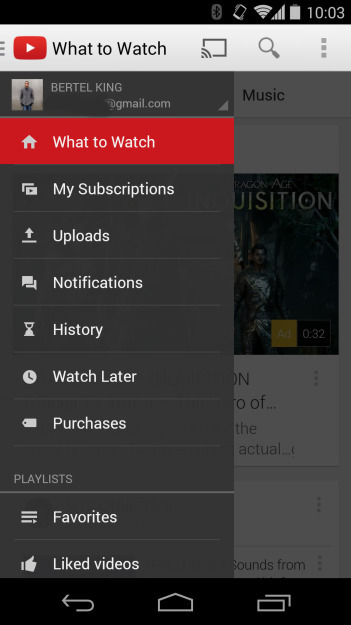 Thus far, YouTube isn't one of them, even if you're running Android 5.0. But a few users have noticed a UI change that nudges things in that direction. They've fired up the app and slid out the sidebar, only to see that it's now white. 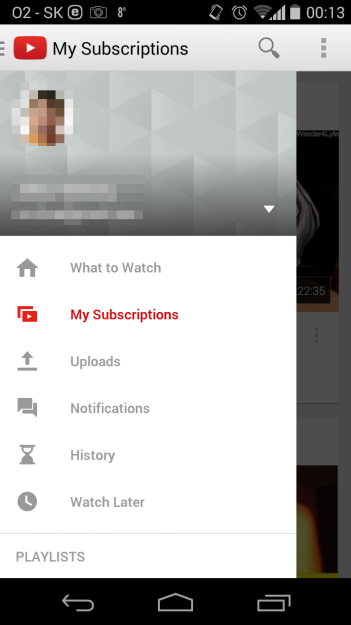 With their avatar in the top left atop a colorful background, YouTube is starting to look ever-so-slightly more like what Lollipop users would expect. Here's a comparison between the new white sidebar (left) and the black one that I still see on my account (right). This change appears to have been toggled server-side, as there's no update rolling out that brings it to everyone. That means we can't help you turn it on. But in the meantime, at least we have further confirmation that Google's working on bring YouTube up to date. Thanks, Johny Honkong and others.